US Sec. of State tells says Middle East trip aims to combat Iranian threat, strengthen dialogue with regional leaders. 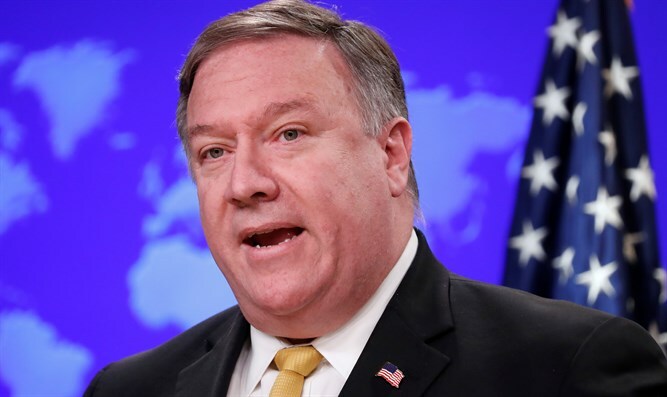 US Secretary of State Mike Pompeo sought Wednesday to bolster a united front against Iran during a Middle East tour that will include talks with key ally Israeli Prime Minister Binyamin Netanyahu ahead of Israel’s April 9 elections. Pompeo kicked off his regional tour in Kuwait, where he met Emir Sheikh Sabah al-Ahmad Al-Sabah on the first stop of a trip that will also take him to Israel and Lebanon. 'Take their identity cards and send them to Syria' Housing Minister says terrorists and their families should have their citizenship revoked and be expelled.